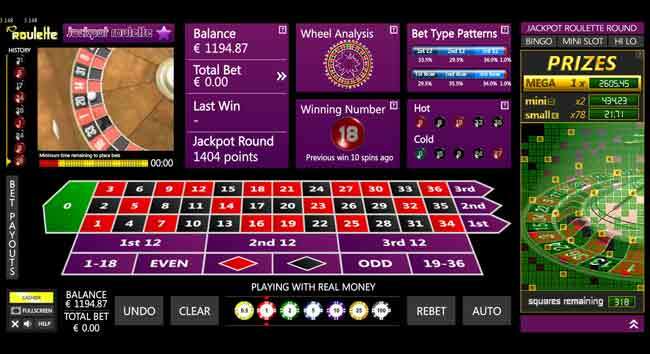 Line - wagering on two "streets" of numbers by placing your bet at the end of both rows, on the line between the rows. Payoff: 5 to 1. Dozen - wagering on the "First 12," "Second 12," or "Third 12" boxes, as marked, covering 12 numbers each. Payoff: 2 to 1. Column - wagering on a column of numbers by placing your bet in any of the three "2 to 1" boxes on the ends of the table. Like betting on dozens, columns cover 12 numbers. Payoff: 2 to 1. High or Low - wagering on either the box marked "1 to 18" (low) or "19 to 36" (high). Payoff: 1 to 1. Red or Black - wagering only on which colour will come up. Zero doesn't count for either! Payoff: 1 to 1. Odd or Even - wagering only on whether the number will be odd or even. Zero doesn't count for either! Payoff: 1 to 1. The American Wheel has an extra bet which is the 00. This pays the same as any other Single bet.